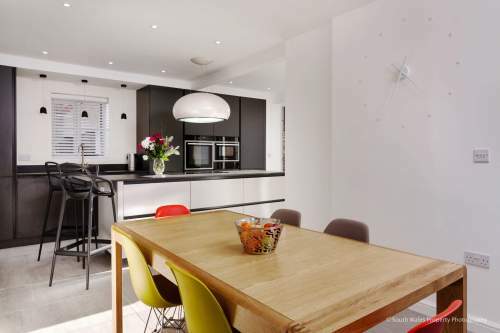 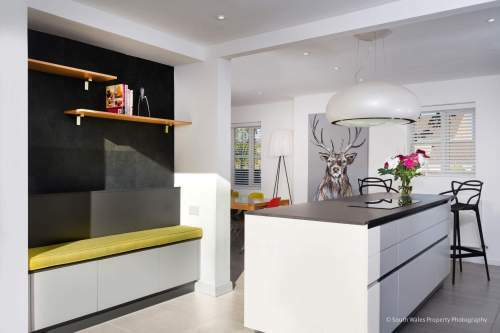 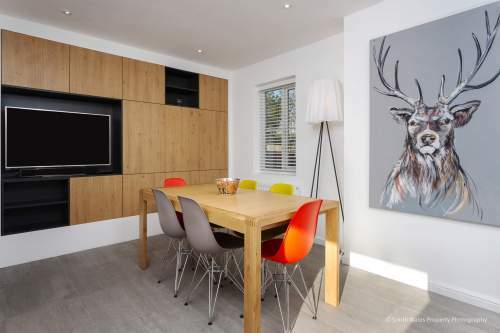 Working closely with a building company, Jo and the team were commissioned to design and build a contemporary kitchen in a compact space which included a dining area and reading space overlooking the garden. With a career in the design industry, the client also sought a contemporary focal point that would spark conversation. 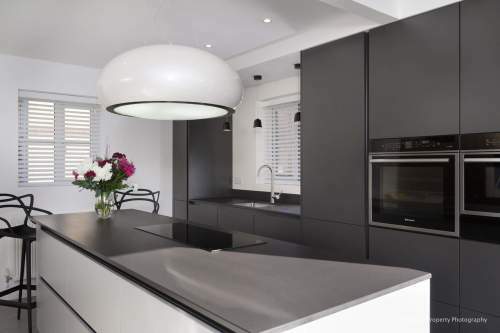 Jo's design incorporated their styles and aspirations perfectly, contrasting an Elica Pearl recirculating extractor fan with a dark colour palette to create a bold yet striking kitchen space. Mr and Mrs Evans didn’t shy away from a dark pallet even though this was a compact kitchen. They understood that contrasting tones work together to create a feeling of space. 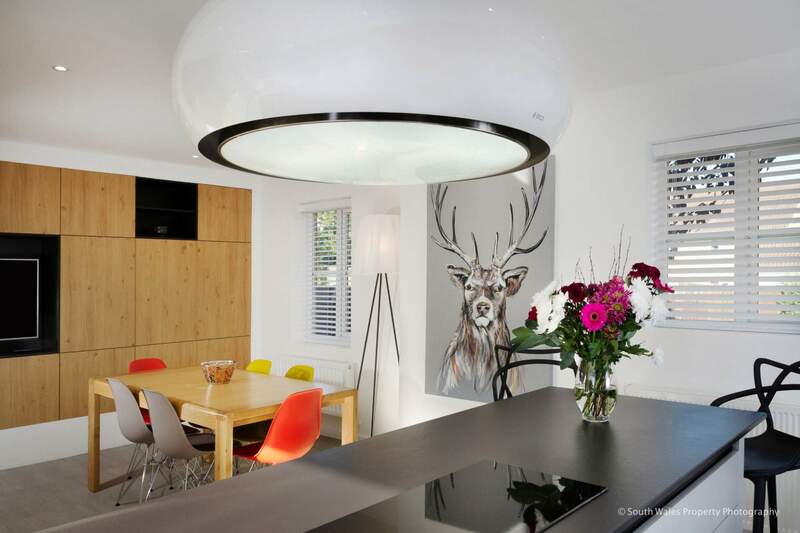 This is where professional and experienced design comes into play. 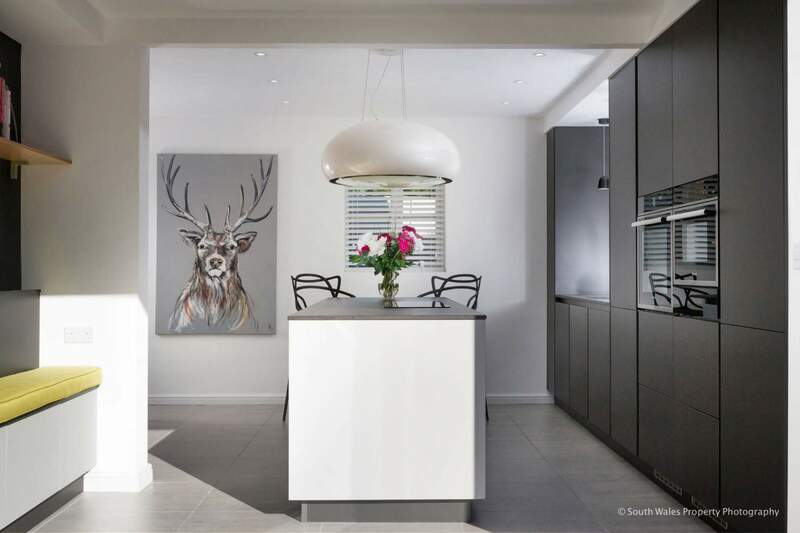 Jo Buckerfield’s long history of successful Schuller kitchen projects gave her the confidence to deliver a bold design that looks amazing.